I used this Triple Lemon cake recipe for Oster's birthday. Lemon cake + lemon curd filling + lemon cream cheese frosting = triple lemon. 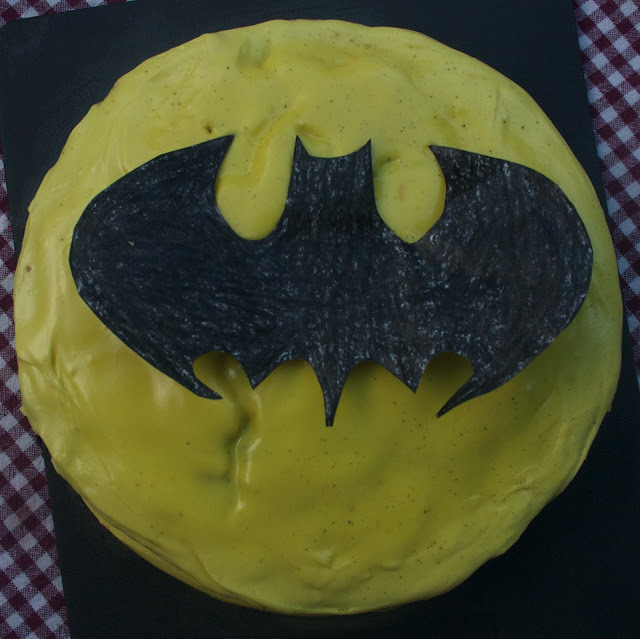 He wanted a Batman cake (see below) and I was craving lemons and blueberries, so it worked out perfectly. I added blueberries to the cake batter...so good! My favorite part was the lemon curd (martha stewart's recipe) filling. I could eat that by the bowl!